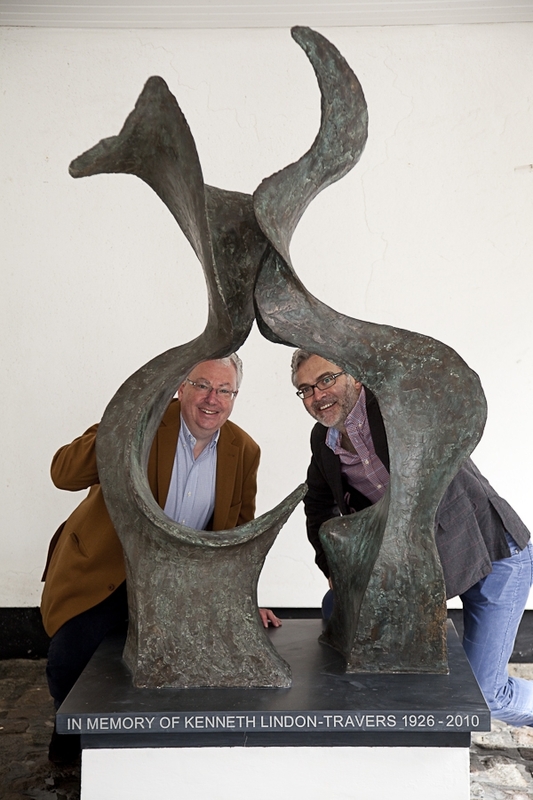 I do love it when someone enjoys my work enough to want to invest in it at a gallery or exhibition – it gives you a kind of affirmation I guess; but for me there is no greater joy than being commissioned to undertake a bespoke sculpture. 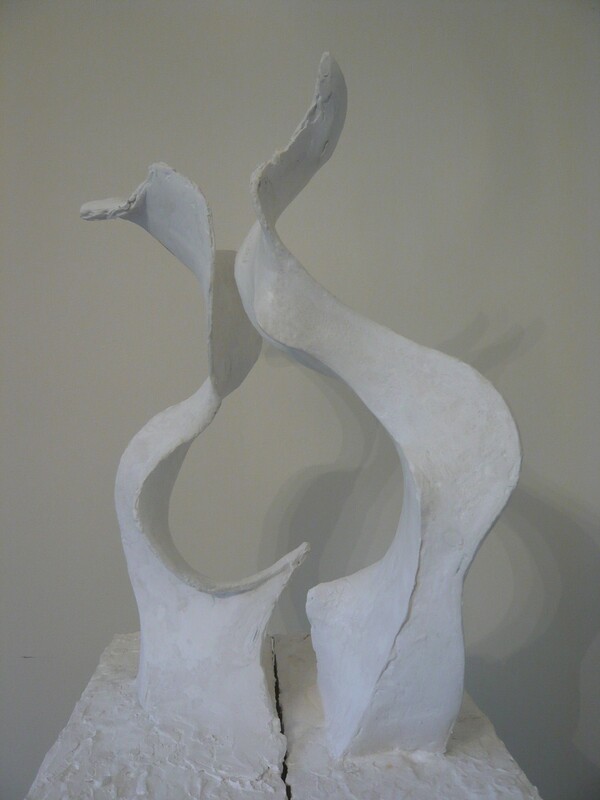 The client will have seen my work and feel inspired enough to want to have one of my sculptures made specifically for them and usually situated in a particular place. 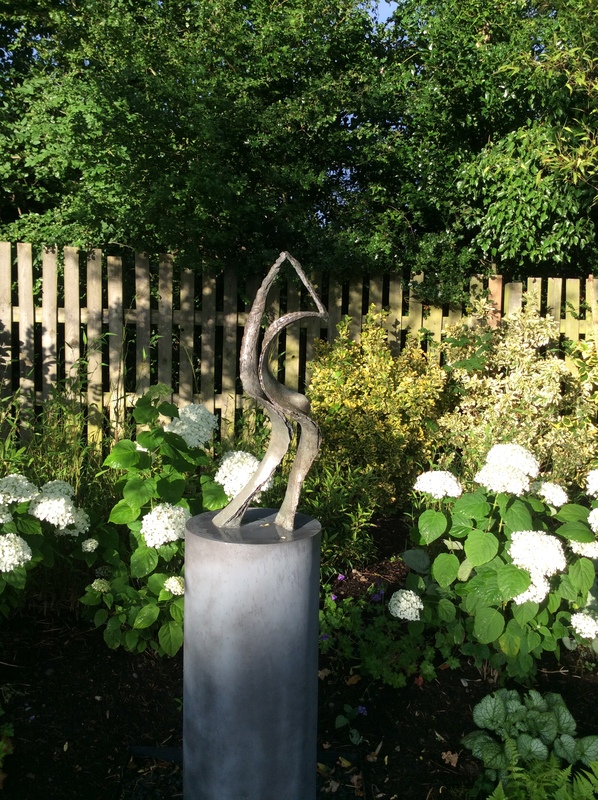 Commissioning leads to a special relationship which I not only enjoy but influences me and takes my work in unanticipated directions – after all no two briefs are ever the same and of course the locations differ enormously. 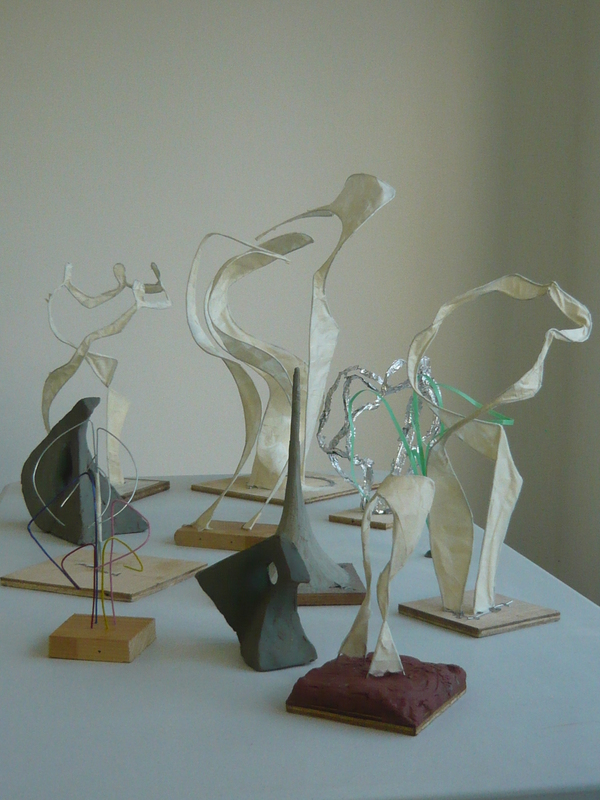 Generally I make about 6 or 8 sketch maquettes for a commission – simple little forms in basic media with a view to exploring my ideas and giving the client something to visualise. These themselves are distilled from lots of sketching and playing with materials, trying to find a ‘way in’… It’s always interesting to see which forms resonate most with the client and surprising how often we are on the same wavelength. 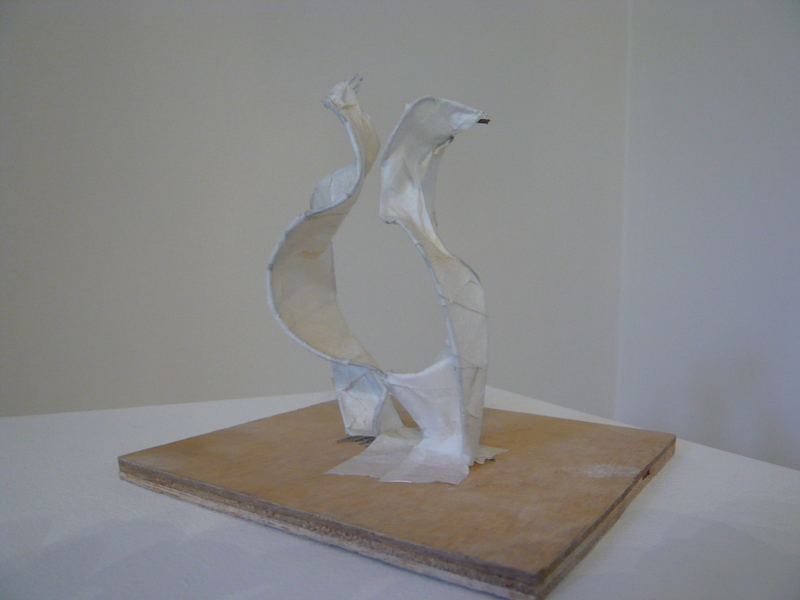 With this feedback I am able to develop the maquettes to the next level, usually at a larger scale and things start to clarify. It really is quite an organic process, I never know where it is going to lead, and takes on a momentum all of its own. 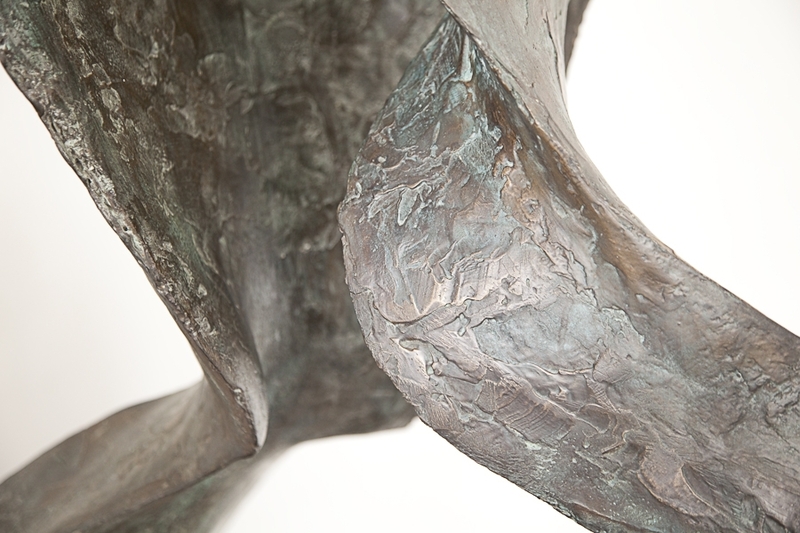 Generally it takes several months with numerous client meetings along the way, to arrive at a final form – depending on the chosen scale this is either moulded and cast directly or scaled up and then moulded and cast. 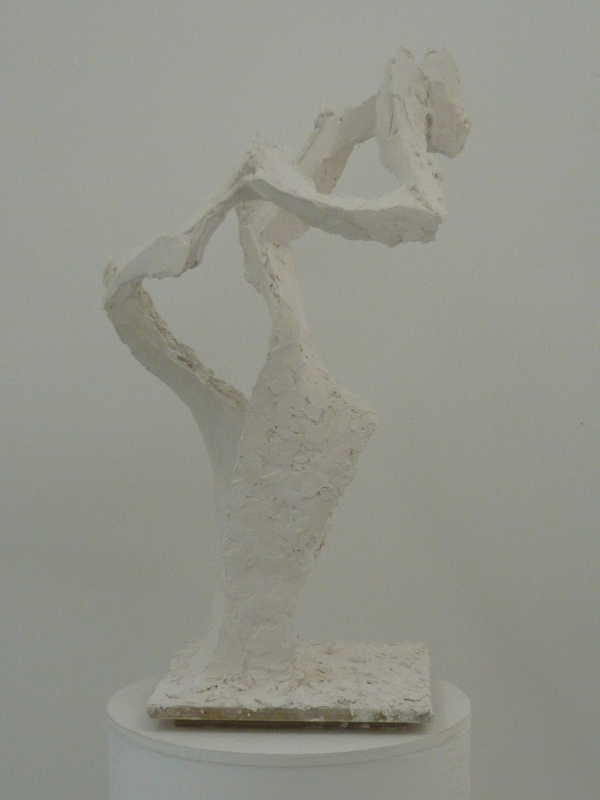 Left and right are my two latest commissions – shown in plaster and currently at the foundry being cast into bronze for installation before Christmas! 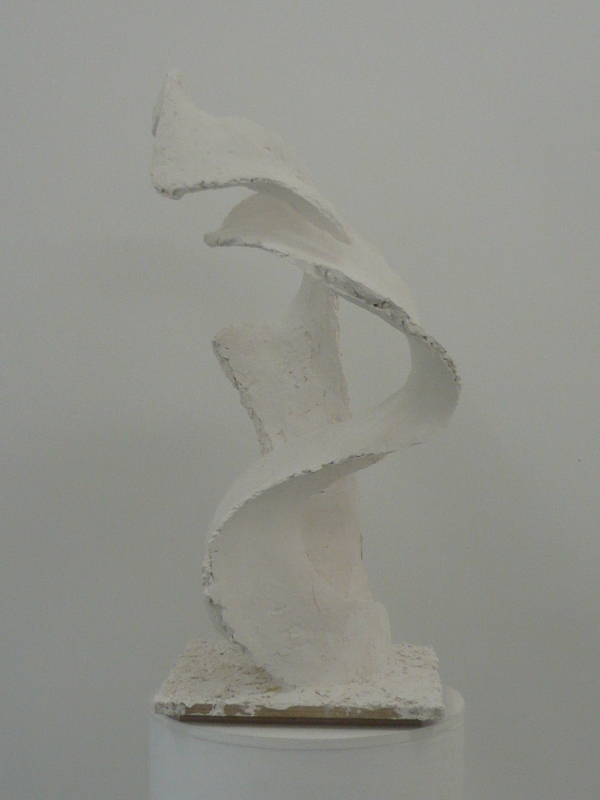 This entry was posted in abstract sculpture, gary scott blog, plaster sculpture, sculpture blog and tagged gary scott, gary scott blog, gary scott sculptor, gary scott sculpture. Bookmark the permalink. No problem. I wanted to ask as I am a sculpture student. How do you find these commission projects? Would like to know from an artists perspective?